We all know that video rendering speed depends on many things such as your CPU, GPU, your RAM capacity or your hard disk type. Added to that, video editing software also plays an important role in increasing video rendering speed. If you want to know which video editing software is the fastest rendering machine, then you’re in the right place! VEGAS Pro 15 is the fastest video editor! We have made a simple video rendering speed test with some popular video editing software available on the market now. The machine we used is an Dell XPS 13 2-in-1 touch screen laptop which is not a powerful machine for video editing work. However, since we use the same machine to render the same length video, then the results may reflect correctly the power of each program. On the same machine, we open each video editor and import the same raw footage and hit rendering button and start calculating how much time it need to finish the work. We don’t add any text title or any video effect to the footage. Just import and render! Raw footage duration: 1 minutes 10 second. Being mentioned that we also set up the output to the same video quality i.e 1080p in MP4 format. 1. VEGAS Pro 15 of Magix -> Rendering time: 3 minutes. VEGAS Pro 15 is a professional video editing software, created by Magix. The software comes along with all necessary tools for making movies, TV shows, Game shows and Hollywood style films quickly. It has no free version but you can try it within 30 days as trial. Read our review here! 2. ActivePresenter of Atomisystems ->Rendering time: 3.5 minutes. ActivePresenter is a professional screencast software which includes a free screen recorder, a video editor and annotation tools for creating elearning courses. It’s free to download and try without watermark for Windows and Mac. Read our review here! 3. Camtasia Studio 9 -> Rendering time: 7 minutes. Camtasia Studio 9 is a powerful video editing software of TechSmith. This program has been known as one of the best screencasting software for year. It’s really helpful for those who want to make training videos and promotional videos with annotations and callouts. Read our detail review of Camtasia Studio 9 here! 4. VSDC Free Edition -> Rendering time: 7.5 minutes. VSDC is a completely free video editor which support 4K editing for Windows. It is one of the best video editor without watermark for PC we’ve reviewed before. Check out detail review here! Filmora Video Editor is an elegant and simple to use video editing software for intermediate and video editing beginners. This is a free video editor with watermark for Windows and Mac. 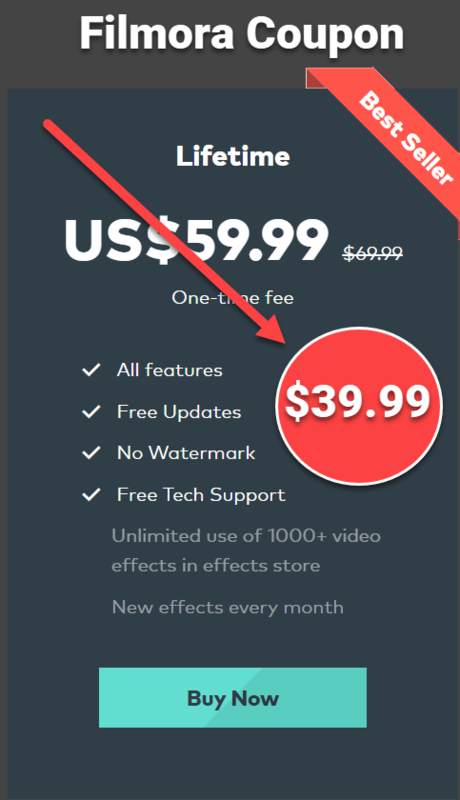 In order to remove the watermark, you’ll have to purchase a license. Read our review here! 6. Davinci Resolve 15-> Rendering time: 13 minutes. Davinci Resolve 15 is a decent professional video editing software for filmmakers and YouTubers. It is also completely free to use without watermark or feature limitation on Windows, Mac and Linux. Take a look at our review here! In order to choose the best video editing software for your needs, you’ll have to consider many other factors as said at the beginning of the post. However, it’s worth to try a program if it can offer high video rendering speed. Elearning Supporter will continue to test more video editing programs and put the results in this list. Don’t forget to follow us to receive more valuable post notifications in the future.